Hey everyone… I know what your thinking, who is this Stuart person, I dont remember him. Well you would be forgiven for thinking that as I have not posted here for quite a long time. Over the past 6-7 months I have been very busy finishing up my phd, applying for jobs, accepting a job, getting worried and weepy about leaving my beloved beautiful Edinburgh and finally shipping off to Oxford where I am now. Thankfully the job I have started at Oxford and the city itsself are much more engaging than I could have hoped for and as a plus, the pubs in Oxford are almost as good as those in Edinburgh. So what am I doing? Well I have been very fortunate to have been hired to work on a project that I have been interested in for a long time now : Galaxy Zoo and the Zooniverse. These are citizen science projects which aim to get people involved in real science! When you think about it, its strange, almost every intrest you have allows you to do something practical involving it. If you like food you can get involved in cooking for friends, if you like watching F1 you might not be able to make yourself a formula one car but you can take an interest in restoring your own car etc etc. Astronomy is a little different, as a result of the increased size and cost of the kinds of telescopes which probe the cutting edge of our understanding, most people who are not professional astronomers have become consumers of the science. Dont get me wrong there is a large community of amateur astronomers who can and do contribute in the hunt for supernove and binary stars, but the time, dedication and money required is more than I would personally be willing to devote! The creation of these telescopes however has presented professional astronomers with a large problem. We are faced with a deluge of information from automated telescopes which scan huge tracks of, if not the entire sky, taking images of hundreds of thousands if not millions of objects. The problem will only get worse with telescopes like Pan-STARRS and the nightmarish LSST coming online in the next few years. 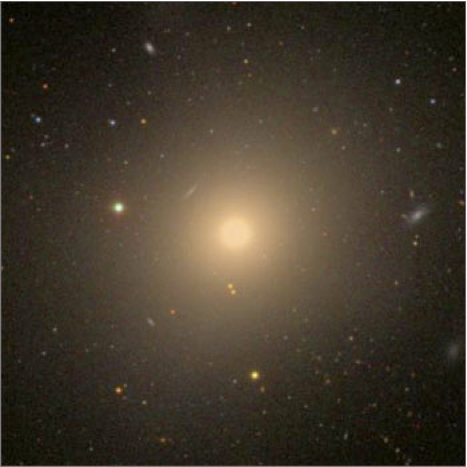 its pretty obvious right, even without training, without knowing what a spiral or elliptical galaxy actually is, you can instantly pick one our from the other. Isnt your brain awesome ! So how do we utilize the millions of brains out there, idling away thinking about puppies or candy-floss or penguins or candy-floss penguins or what it would be like if we could make a pengin puppy hybrid (which would be called a pupegin obviously) and if that would be the cutest sight in the world… the intrinsic cuteness of a puppy with the mass huddling instinct of penguins, to make a massive quivering stack of furry awwwwwww….. see in the few seconds it took you to read that (and the subsequent minute worrying about the mental health of the author) your brain could have been put to a higher good classifying galaxies. What we need is some system where by humans can donate their free thought cycles to doing the tasks that computers struggle with. The internet is great at this kind of thing, people already donate their free brain cycles to kittens with bad grammer, annoying facebook games and arguing about what is better: puppies or penguins (penguins obviously). So why not some real science? 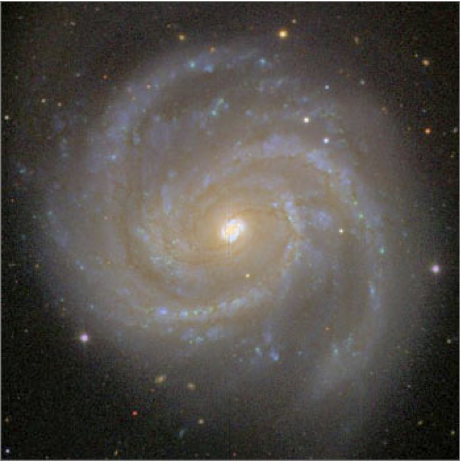 The galaxy zoo and related projects seek to do just that, if you are board or are just trying to avoid work, you can sign on and help find supernove, classify galaxies, detect solar storms and help us figure out how galaxies smash together . This is really really useful data which is thoroughly welcomed by real scientists who use it to make real discoveries. I am aware this post is getting pretty long so let me leave it just now and talk about some of the really great science the team have done with the project so far and what the future will bring in two follow up posts. Until then stop “browsing” the interent and start doing our work for us ! 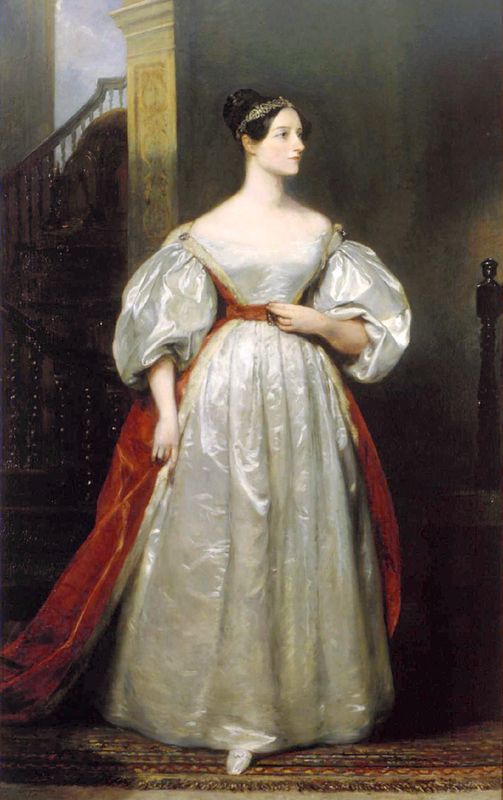 Caroline Lucretia Herschel, the first professional (i.e. paid!) 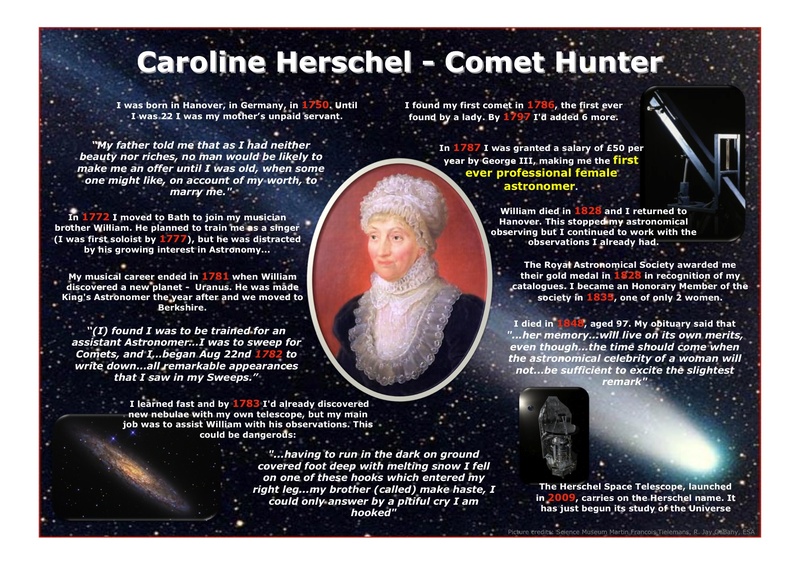 female astronomer, was born today in 1750. I wrote the poster below about her life for the Space Day & Moonwatch event we had here in Nottingham last October. Being an astronomer might not have been her first choice of career, but she certainly made the most of it! A few people have recently asked me what makes me write about one paper and not the other. There seems to be some expectation that I (or most science bloggers) would write about the most significant or controversial papers in their area, which I guess is a fair first assumption to make. And whereas in some cases these papers are instantly recognisable, personally I tend to concentrate on papers that are on my desk, and that are likely to have a direct impact on my work even if not raise press releases. The neat thing about my job is that most papers I read do have some interesting aspect that makes me want to sit down and tell you about it. And more importantly, I think we should be telling you more about day-to-day papers which would normally go unnoticed by the press and therefore by the non-astronomer. They’re more likely to give you an unbiased view of what we (as in each individual scientist) do for a living, and perhaps even a more accurate perspective of the personal scientific process of discovery in astronomy. Lack of time means I don’t get to read as many as I’d like. And lack of time squared means that I don’t get to blog about as many as I read, but let me make a pledge that for every three papers I read in detail from now on, I’ll blog about one. My guess is that this should result in one post every one or two weeks (I skim through a lot of papers, I actually read very few! ), and that seems doable for me and not overwhelming for you. As it turns out, I was away all of last week, so you may have to wait a little while for the first one to come along..
We’ve been nominated in the Research Blogging Awards in the category of Best Blog – Chemistry, Physics, or Astronomy. Voting is open to Research Blogging users and those able to vote should have already got an email inviting them to do so. If lots of lovely, wonderful people vote for us then we might get a $50 prize which we can go wild on the town with. Will the Moon mess up a moon-base? If we want to build a permanent base on the Moon – and the question of whether we ever will (or even should) remains very open – we need to have some idea of the effect the lunar environmental conditions will have on our equipment. There’s no point going to all the trouble (and expense) of hauling some fancy LunarThingy™ up there only to have it disintegrate within a year because nobody checked to see what it might have to cope with! 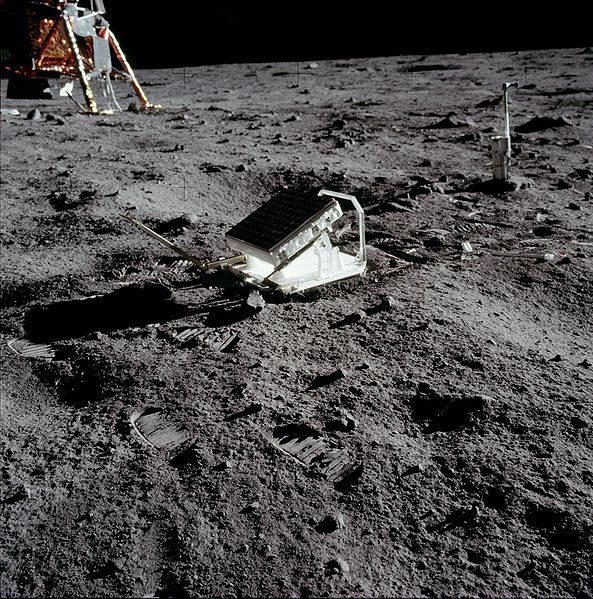 Well, a paper out today, led by T. Murphy from the University of California, gives some indication of the sort of degradation such a base might encounter by looking at what’s happened to the lunar equipment we already have in place. By studying nearly 40 years of lunar ranging data Murphy et al. found that the efficiency with which the arrays return the laser light is ten times less now than it was originally and this loss of efficiency is even worse at full moon. This lunar phase dependency surprised them so they double checked that it wasn’t something to do with the overall increased brightness of the Moon at this time of the month interfering with the result. It wasn’t. Clearly something has happened to the retroreflector arrays to degrade them over the four decades they’ve been up there, but what? The paper puts forward two suggestions – a build up of lunar dust or scratches from micrometeorite impacts. Both of these could alter the way the light is reflected by allowing light from the Sun to slightly heat up the arrays. The effect is strongest at full moon because that is the time when the arrays are exposed to the most solar energy. The authors lean more towards dust as the cause, but point out that laboratory simulations of the lunar conditions would be the best way to understand what’s going on. It’s important to pin this down as dust can be wiped off, but a scratch could permanently damage a piece of equipment and it’s an awfully long way to go to carry out repairs!